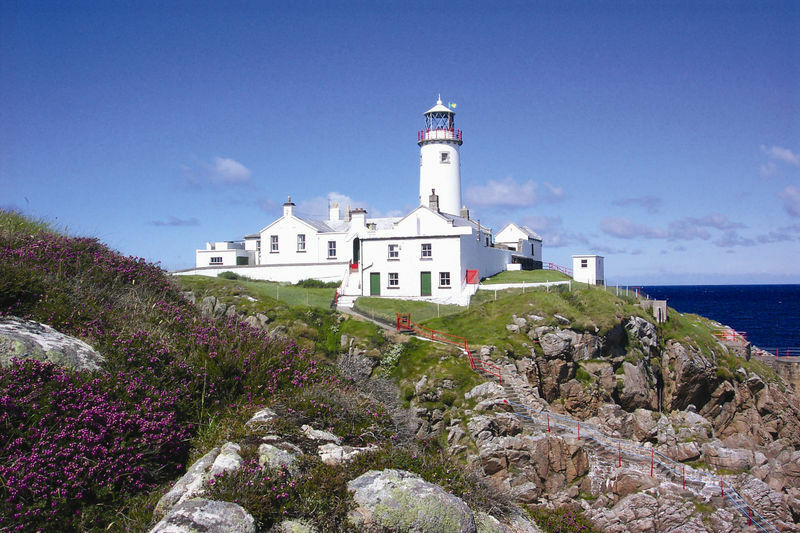 On March 23rd the Commissioners of Irish Lights handed over Fanad Lighthouse to Forbairt Fhánada Teoranta starting a new era in the lighthouse’s history on the cusp of its 200 year anniversary next year. The lighthouse will be managed and promoted as a top class tourism destination. Forbairt Fhánada Teoranta will now be in charge of managing and promotion the lighthouse as a top class tourism attraction and destination. They’ll offer guided tours of the lighthouse, regaling tourists with tales it’s long history as well as offering 3 self-catering accommodations for tourists looking to stay somewhere really special. On behalf of the Commissioners of Irish Lights Eoghan Lehand handed over the keys to John Friel, Chairperson of Forbairt Fhánada Teoranta last week. We wish Forbairt Fhánada Teoranta every success with this new venture and can’t wait to get down and check it out!